"He’s turned into the most loving cat ... He’s very affectionate." A woman named Gisela was about to head out to dinner in Montana with her daughter one Friday evening earlier this month. But just before they got into their car, they spotted something in the road. On closer inspection, they realized it was a cat with dark fur — but there was something just a little off about it. "I was like, 'Here kitty kitty kitty,' and he was just staring at me," Gisela told The Dodo. "I went to step toward him, and I saw something that looked like a snake — I thought he had a snake and I was like, 'Ew.'" Gisela got into the car to leave the cat and his catch in peace, but her daughter, Danaya Osei, kept going closer — then she rushed back to her mom. "She was like, ‘It’s a trap.’" Gisela remembered. "The terror in her face was horrible." Fourteen-year-old Danaya was determined to help the cat. "She was like, 'We’ve gotta get it,'" Gisela said. "I give her all the credit for saving him." 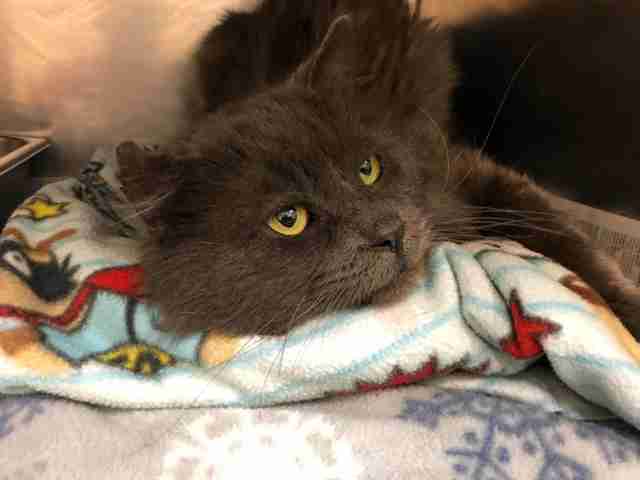 They ran inside and got some towels while calling the police department, which connected them with animal control, all the while worrying about whether the poor cat would make it. 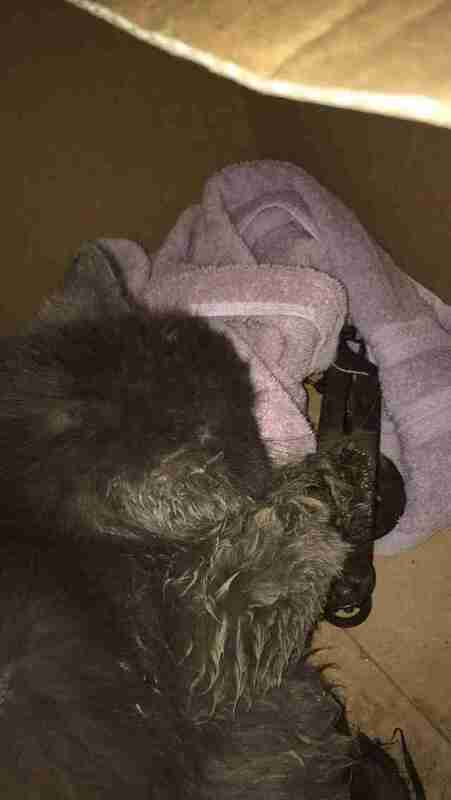 "He was scared and he had this huge trap with a chain on his leg," Gisela said. "We waited for about 25 minutes, not sure if we should just rush him to the veterinarian instead." They managed to put towels over the cat and carry him into their car where he could stay warm. Even though it was just a few minutes, it felt like an eternity, waiting there with the cat. At last, the animal control officer showed up and rushed the cat to get help. 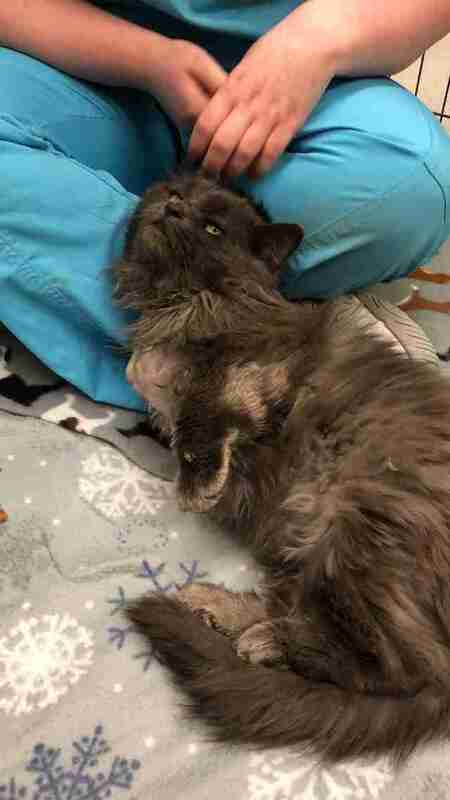 Unfortunately, this cat's story isn't so uncommon. Because traps set out for wild animals like wolves and coyotes are indiscriminate, it's always possible a stray cat — or even someone's pet — can get caught, ending up in extreme pain, even dying. 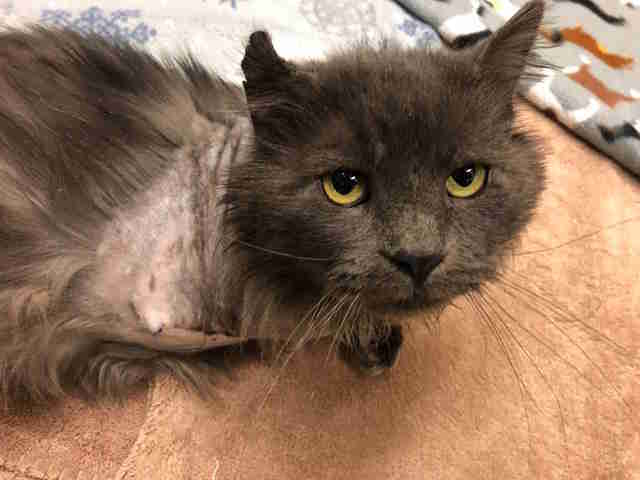 Millions of animals are killed in traps every year in the U.S. Thankfully, this cat, who has been named Bear, was saved. "It was really looking pretty dismal for poor Bear. He was terrified and likely in so much pain," K.C. York, founder and president of Trap Free Montana Public Lands (TFMPL), told The Dodo. York's organization offered to pay for Bear's medical bills so that he would be given a chance to recover and get adopted. "We offered to pay for his medical bills so that would in no way be the deciding factor for his fate after the required holding period." Bear will always have the mark of what happened to him, though. His leg couldn't be saved, so he'll go through life on three legs from now on. Now that he's no longer in such pain, Bear is showing the shelter workers at the City of Great Falls Animal Shelter just how grateful he is that people saved his life. "He’s turned into the most loving cat," Lynn Formell, director of operations at the shelter, told The Dodo. Formell suspects that Bear was living on his own for a while — he wasn't neutered and there was no microchip. It's possible he was a feral cat who has become tame and loving with people after all he's gone through. "He’s very affectionate to the staff here." Bear will be up for adoption eventually — but he still needs to finish healing first. He still has stitches in from his surgery and he's on antibiotics. When he's ready, Formell said, is really up to him. And it's likely he'll need to go to a forever home where he can be the only cat (and get spoiled rotten). Luckily, Gisela and her daughter don't have any pets at the moment. Gisela has had pet cats in the past, though. And she's hoping that her application to adopt Bear will be approved. "He just needs a really good home," Gisela said. Meanwhile, York is counting this incident into further proof that traps are really dangerous for pets — and also pretty unfair to wildlife, since animals injured and stuck in traps can be left there for days or even weeks before trappers come and kill them. "Domesticated trapped species, if still alive, can at least legally eventually be helped. But who looks out for and helps the poor trapped wildlife?" she said. York is advocating for a future where no animal has to suffer like this. "Traps are secreted, baited and left unattended for any innocent unsuspecting creature," York said. 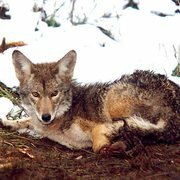 "We have to work all the harder to show the ugly hidden cruelty inherent in trapping." Bear, in the meantime, just has to work on getting better. To help prevent this from happening to other animals, you can support TFMPL. To thank the shelter for taking such good care of Bear, you can make a donation.